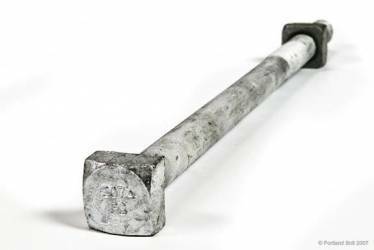 Crossarm or machine bolts are used in the pole line industry. They have square heads and a semi-cone point and typically come with a square nut assembled. They are also typically hot-dip galvanized in order to protect the steel. 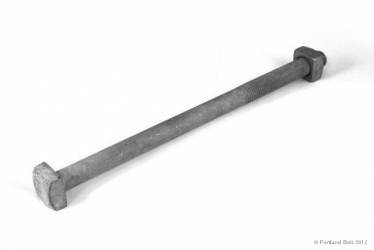 We can manufacture crossarm bolts up to 1-1/2″ in diameter. 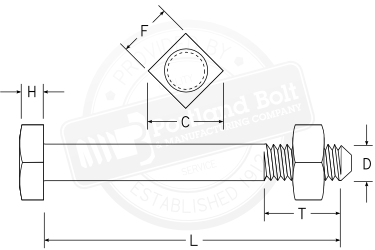 Crossarm bolts follow the thread length guidelines used for pole line fasteners. More information about machine bolts is available on our educational microsite polelinefasteners.com. * ASME only defines head dimensions up to 1-1/2". Dimensions for 1-3/4 and 2" are approximate and not covered under the ASME dimensional specifications. Visit our educational website www.polelinefasteners.com for product specific information on headed pole line fasteners. You can also read the answers to frequently asked questions about pole line fasteners and hardware.